CROSS OVER HANNAH (f by Major Bonanza) Two time World Champion: 1991 World Champion Junior Heading and World Champion Junior Heeling Horse, ROM. ZANS RED GOLD (f by Zan Gold Jack) #29 on All Time AQHA Reining Point Earners List; 3 time AQHA High Point Working Cowhorse; AQHA Reserve High Point Junior All-Around Champion; AQHA High Point Junior Reining Horse & High Point Reining Mare; AQHA Champion Superior Reining & Working Cowhorse. GENUINE SUPER SIS (f by Peppys Genuine Doc) Finalist in NRHA Open Futurity; Congress Reserve Ladies' Reining Champion. DIAMONDS MS SPARKLE: Reserve World Champion Senior Reining Horse; Open Champion at NRHA Futurity. ESTHERS FRECKLE: Two-time World Champion Amateur Heading Horse. 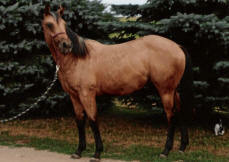 * SHINING SPARK: #4 on list of AQHA All Time Sires of Reining Point Earners List. World Champion Junior Reining Horse. NRHA Open Derby Champion. 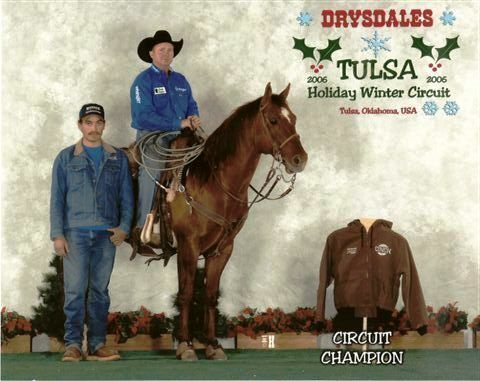 * SPARKLES ROSEZANA: #17 on NRHA All Time List of Money Earners; AQHA High Point All- Around Mare; World Champion Heading & Reining; NRHA Open Futurity Champion. * ZANS DIAMOND SUN: #47 on NRHA All Time List of Sires of Money Earners; High Point All-Around Stallion; World Champion Junior Reining Horse. * SPARKLES SUZANA: High Point All-Around Champion twice; World Champion Senior Calf Roping Horse; NRHA Open Derby Champion. 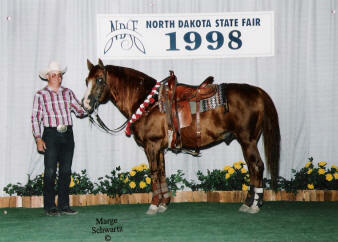 * SPARK O LENA: Reserve World Show Superhorse; High Point Calf Roping Gelding.